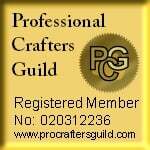 Delicate pink pearlised card 127 x 178 cm (5" x 7") has pink and cream heart background matted onto gold mirror card. 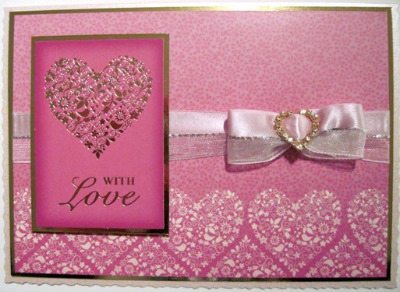 A raised pink and gold motif says 'With love' in gold, over a pink and silver ribbon trimmed in a bow with a crystal heart. A truly special card for a very special person. This card can also be purchased with a tissue lined box trimmed with matching ribbon.